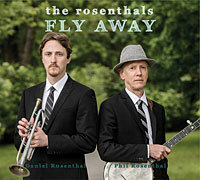 I first got to know Phil Rosenthal as the guitar player in The Seldom Scene. When I lived in Alexandria, Virginia in the late ’70s, the Birchmere was a weekly destination for me to meet friends, drink beer, and listen to Phil, John Duffy, Ben Eldridge, Mike Auldridge and Tom Grey perform their magic. 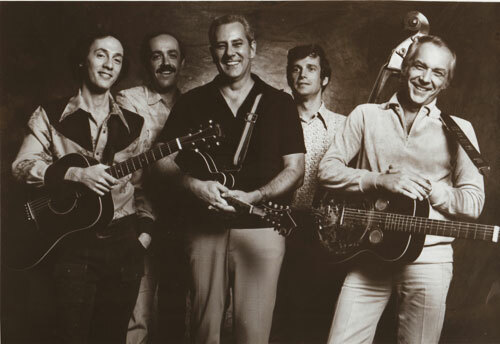 Their music, stage presence, song selection, and connection with the audience and each other was quite influential for me as a future flatpicker, bandleader, and songwriter. In addition to being a mighty fine vocalist and guitar player, Phil is also an amazing songwriter. It’s a real pleasure to present this interview with him on a passion we both share. 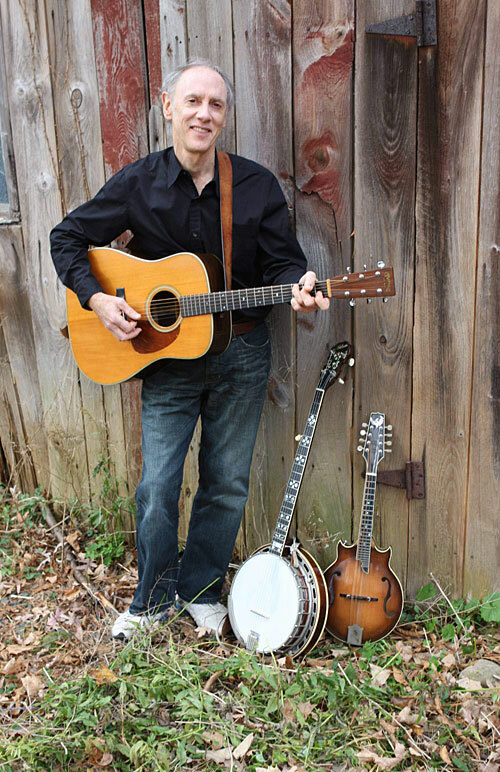 You’ve written songs that have been recorded by the likes of Johnny Cash and Bill Monroe. How did those successes come about and, more broadly, what insights about marketing original music can you offer to other songwriters? Johnny Cash recorded my song “Muddy Water” because Emmylou Harris, whose husband was producing an album of his, told him it would be a good song for him. She knew the song from the Seldom Scene repertoire. Bill Monroe recorded the same song on an album he did with his son James. The Osborne Brothers, who are the song’s publishers, brought it to Bill’s attention. So obviously personal connections help a lot in getting the right person to hear your song. Then hopefully the song is good enough to close the deal! And luck has a lot to do with it too. My advice for songwriters is look for opportunities to get one of your songs directly to the attention of a performer – maybe backstage, or at a band’s record table. Also, make sure it’s a song you can hear that performer doing. No use wasting time trying to get a song to the wrong person. Your catalog at BMI is 84 songs deep, including titles like Muddy Water, Leaving Harlan, Down the Road, Old Joe Clark, and Something In the Wind. What, in your opinion, are the essential components of a good song? A good song is one that expresses the feeling or thought that inspired you to write it in the first place. Sometimes it might call for a simple melody, other times maybe unusual chord changes, or rhythm, or unexpected development of the melody might be what it needs. But the starting point is looking inside and finding something that has meaning for you, and seeing what lyrics or melody it inspires. A lot of times I’ll start with melody, strumming chords on a guitar, or picking some patterns on banjo, and just see what happens. Once I’ve got something interesting melodically, I often play it and see what phrases (lyrics) it inspires, and then that may lead to an idea for the song – thoughts of a person I’ve known, or a feeling, or a story I could tell. 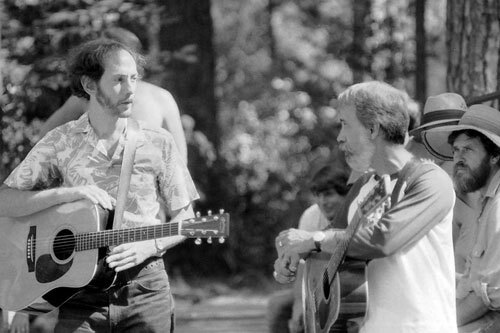 How did your tenure with the Seldom Scene (1977-1986) — and your collaboration with John Duffy in particular — influence your work (and growth) as a songwriter? When I was in the Scene I tried to write songs that I thought would be good for the band – to showcase our harmony singing, especially with good parts for John to sing. The problem was that my range as a lead singer is lower than John Starling’s, and most lead bluegrass singers, so I didn’t want to have myself singing out of my range, just to get John where he sounded best. 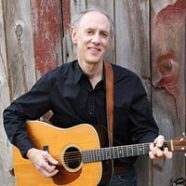 On a song like “The Weary Pilgrim”, the songs modulates to another key for the chorus – which made it more interesting musically, and also allowed me to sing lead in a key good for me, but then to highlight our harmonies in a key where they sounded best. Of course my songs couldn’t all have the same formula for finding keys that worked for me and for the harmonies, so in the course of working up a band arrangement (always a band effort) we’d find other solutions that also worked – maybe switching the parts around, so what begins as a standard trio might turn into a high lead in one section. Writing for the band, and going through the process of coming up with arrangements that worked, improved my abilities to write songs that worked in a band. 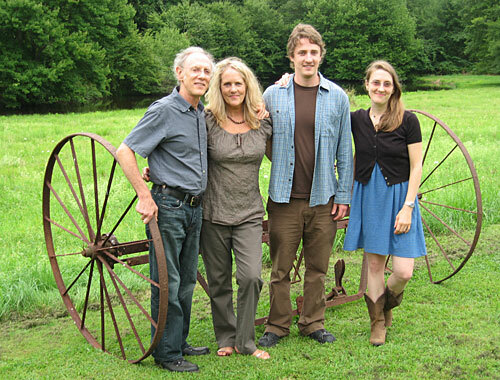 You left the the Seldom Scene to create American Melody, a recording company you founded with your wife Beth Sommers. What was your original vision for the company, and how has everything unfolded in the years since launching this endeavor? I’ve loved the process of recording since I was a kid. My dad had a reel-to-reel tape recorder that let you do “sound-on-sound”, adding different instruments one at a time, so from the time I was 13 or 14 years old, I was creating my own recordings, overdubbing guitar, banjo, mandolin, and lead and harmony vocals, pretending that I ran my own record label. My dream was to someday actually do it professionally. I was also writing original songs then, and my other dream was to someday have someone record one of my songs. I ended up fulfilling both dreams before long. Years later, when my children were young, I realized no one had recorded any bluegrass especially for kids. I saw an opportunity to start a label specializing in bluegrass and folk for children, realizing that a unique identity like that would make the label more likely to succeed – plus I thought there should be music like that available! 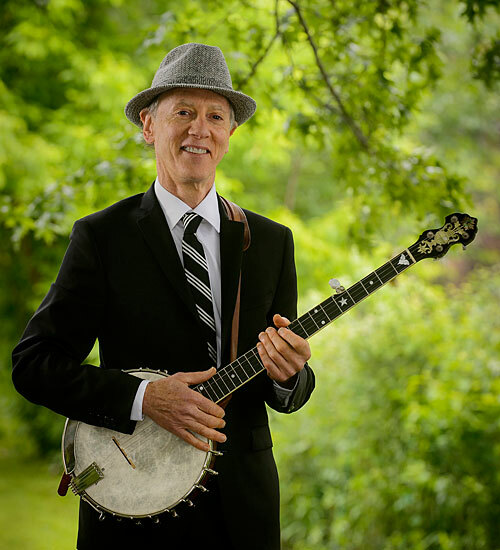 I invested in better recording equipment and recorded and released my first album, “Turkey in the Straw (Bluegrass Songs for Children).” I found an audience for it quickly. It received very good reviews and a Parents Choice Award. I didn’t want to release just my own albums on my label – I wanted more of a “legitimate” label, with recordings by other performers as well. The Scene had just recorded an album with Jonathan Edwards, and it included a beautiful song he’d written for his daughter called “Little Hands.” I asked him if he’d like to record an album for children, which we could call “Little Hands.” He was intrigued by the idea, and soon we started the project, working in the studio I’d set up in an extra bedroom of my home. Before long I was also working with John McCutcheon, Cathy Fink, David Mallett and others. 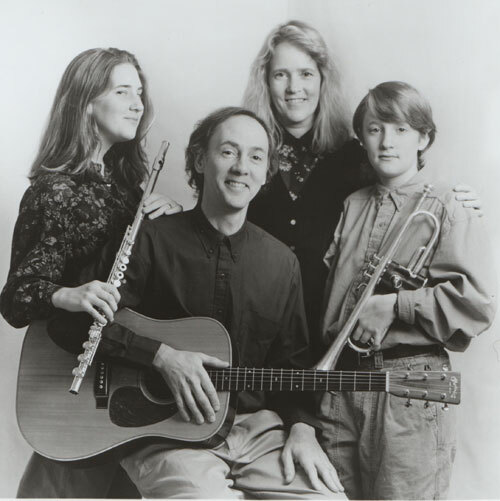 Now that my kids are older, American Melody is focusing on non-kids’ music, including recordings by my daughter Naomi Sommers (a great singer/songwriter – www.naomisommers.com) and my son Daniel Rosenthal (www.danielrosenthalmusic.com), who released a highly-praised jazz album last year. My son suggested that he and I work on a new CD, blending bluegrass, jazz and other influences, and featuring mainly original songs. I found four sets of lyrics I wrote years ago, but for which I had never written melodies, or at least not the right melody . Daniel starting composing music for them, different than anything I might have come up with, and I think we’ve ended up with four of the best songs in my catalog! In your experience, are there any considerations specific to writing bluegrass music that make it different from other genres? One is the fact that harmony vocals are so essential to the music, and it helps to keep that in mind when writing a song you’d like to hear a band performing. The chorus should be one that lets the harmonies shine. Fewer lyrics are better than too many, as it gives the vocalists a chance to show their stuff. Not much. I’m more an analog than digital person, as far as recording, and I’m happy doing things the way I have for the last 30 years. It’s nice having all the information available on the Internet, when let’s say you need some information about something you’re thinking of working into some lyrics. But, on the whole, I find the digital age has too many distractions. I do my best work alone in a room with a guitar. When a song expresses what you had in mind to say – when that perfect combination of melody and lyrics expresses the feeling you had when you started to write it, and gets you there again as you play it in it’s final form. The one that has worked most often is playing an instrument, experimenting with chord progressions and melody, and seeing what develops. When the going gets tough on the songwriters journey, what final thoughts can you offer to help keep things in perspective? Just remember that the main person you’re writing for is you. Trying to write something because you think someone else might like it is the wrong approach. It often results in something forced, something that doesn’t take you to the place in your heart good music does. The worst songs I’ve written have been the ones based on someone else’s suggestions or advice. Try to write something that has meaning for you. Hopefully it will have meaning for other people too, but if it doesn’t, that’s okay. If you like to play it, it’s served it’s purpose. 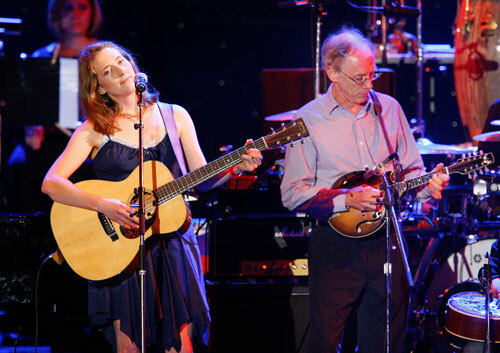 Phil:A Martin D-18, a Bart Reiter tubaphone model open-back banjo, and my ‘96 Gibson mandola. Phil:To quickly get something down it helps having a studio in my home. I’ll plug a mic into my mixing board and record onto my Alexis Masterlink hard drive, and once I’ve got something work saving, burn it onto a CD. Phil: No, I’m basically an analog person. Phil:My rhyming dictionary is worth it’s weight in gold, and my Roget’s Thesaurus has also come in handy many times.